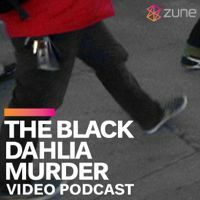 Microsoft’s downloadable media portal, the Zune Marketplace, announced the publication of Zune’s first video podcast, a behind-the-scenes profile of metalcore band The Black Dahlia Murder. Highlights include a roof top interview at tour sponsor Metal Maniacs’ offices, a horror movie discussion at Fangoria Magazine and concert footage from the New York show. The six-part weekly podcast series is available only through Zune Marketplace and Zune.net. There are 13-14 iPods, and one Zune at number 23. Microsoft doesn’t get it, sorry!